All competitors must hold both a valid USSA Freestyle Competitor membership and an Intermountain Mountain Division membership. Both of these memberships are obtained together through the USSA on a single application. Membership information (forms and payment options) are available online at www.my.ussa.org. USSA Competitor: The USSA Competitor membership provides access to all levels of USSA scored and non-scored competitions at the local, divisional, regional and national level. Competitor memberships include scoring on national ranking lists as well as International Ski Federation ranking lists where appropriate (with additional FIS license). This membership is required for FIS registration and FIS level competitions. Provides for access to aerial and mogul events. 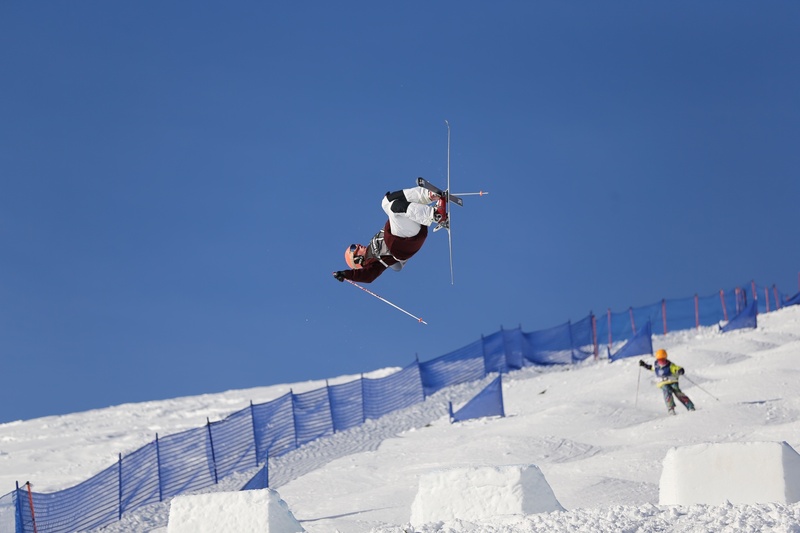 May also participate in skier halfpipe, slopestyle, big air and skicross. USSA Freestyle Rookie ($80): For ages 13 and older. This membership gives athletes who are just getting started the opportunity to learn and grow within their sport at the division competition level. Athletes also have access to the USSA Freestyle/Freeskiing ranking list. USSA now offers a daily membership license for athletes U11 and under (age 10 & younger) for $15/day and for U13 and older (age 11 & older) for $25/day. Please note that these daily memberships are “per day.” A weekend constituting two days of competitions (i.e. Single Mogul and Dual Mogul) would require a two-day membership license. Competitors who have not renewed their current memberships before their first competition will be required to complete a new application and pay the membership fees on-line before being allowed to register onsite. USSA membership cards should be carried by competitors at all competitions to verify membership. Purchase your USSA membership HERE.